I started using Unity 2018.2 and when I try to enable EditorOnly mode I always get this crash. For some reason the meta file for the serialization config DLL doesn't exist, maybe because the serialization config DLL is missing? I'll have a look and see if I can figure something out on my end. Can you tell me which option you have selected in your project for meta files? You should be able to see this under Edit > Project Settings > Editor. Cheers, I'll keep digging some more and see if I can't find what is causing this. So far I've been unable to reproduce this issue - as far as I can tell the meta file for the serialization config DLL should just be there. Could it be that you've moved the Sirenix or the Assemblies directory? Or maybe you're working directly from the source code? 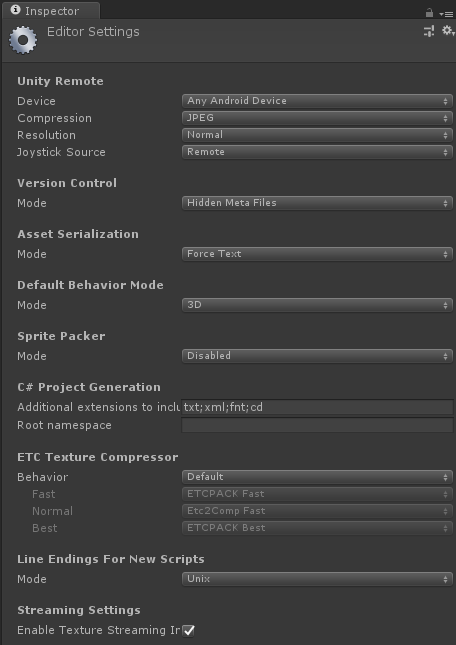 As far as I can tell that should be detected, but there might be an issue with that in newer versions of Unity. I did not move the files neither I am using the source code, but I do get this warning every time I open the project: "Usual method of finding Sirenix plugin path failed (...), and then it says Found Sirenix plugin path: Plugins/Sirenix/. Creating an empty project and importing the plugin works fine, it just doesn't work with this project that I already was using.